The Jewish Greek translation which came to be called the Septuagint renders this verse this way: 'Your throne, God, is forever and ever.' So also Aquila, Theodotion, and Symmachus--second century Jewish translators. Prior to Rashi, the Targum also understands אֱלֹהִים as a vocative, but to insure that it might not be understood as an address to the king of Israel in the sense of 'God', it reads כּוּרְסֵי יְקָרָךְ יְיָ קַיָים לְעָלְמֵי עַלְמִין ('The throne of your glory, Yeya, lasts forever and ever'). Are there any translators or commentators who translate אֱלֹהִים in Psalm 45:7a as a vocative addressed to the king in the sense of 'God' as do Aquila and Theodotion? 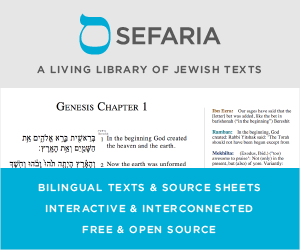 Your presumption that what is called the Septagint today is the same text that was translated by the 70 Jewish Sages is not in keeping with Jewish history and teaching (See Disputes over canonicity). That original text has been lost. And that original translation was only on the 5 books of Moshe. What is called Septaguint today is a text that was put together by the church to vindicate Christian theology. All the classical Jewish commentaries (Targum, Rashi, Radak, Ibn Ezra, Metzudat David) to this chapter (Tehillim chapter 45) say the subject of this chapter is Melech HaMoshiach (Messiah the King), not G-d, as the Christians claim. In that context (Tehillim 45:7), the throne of the King, upon which elohim sits must be understood to be referring to King Moshiach. The reason why this particular name/title, when used with a human being, is translated as judge, is because it is associated with the quality of Gevurah (judgement and power). See also Bereshit 6:2 and the Targum and commentaries there. A Jewish King can also be referred to as a judge, because when the Sanhedrin cannot come to consensus in a capital case, they can refer the case to the King for final judgement and disposition. This follows the concept in 1 Kings 3:28. After the Septuagint and the second-century translators Aquila, Theodotion, and Symmachus, there are no Jewish translators or commentators who understand אֱלֹהִים in Psalm 45:7a as addressed to the king in the sense of God. They show no acceptance of the rendering of that verse in those four Greek versions. Like Abraham Cohen in The Soncino Books of the Bible, Rosenberg and Zlotowitz in their recent commentary on Psalms state: “The Hebrew could also be rendered ‘Your throne, O God, is everlasting.’ This would not fit the context, which requires the king to be the subject.” This consideration militates against the Targum, which reads the verse as a vocative to Yahveh. In the very next verse the psalmist says that the king has a God. This militates against the Greek translations, which read this verse as a vocative to the king and call him God. In Psalm 2:7 the king is metaphorically called the son of God, as he is in in 2 Samuel 7:14. Although some Jewish commentators apply Psalm 45 to the Messiah, the Hebrew is not interpreted as calling him God in verse 7. As a result, the text did not become as in Christianity a proof text for a doctrine of a divine Messiah, who would be an incarnation of 'the second person of the Trinity,' and thus it is not considered matter for extensive discussion. Bibliography: Jacob Hoftizjer. 'Remarks on Psalm 45:7a.' Eretz-Israel: Archaeological, Historical, and Geographical Studies (1999): 78-87 @JSTOR.com; Johannes Stephanus Maria Mulder. Studies on Psalm 45 (Ph.D. diss., Nijmegen; Oss: Offsetdrukkerij, Witsiers, 1972), 32-80 @PDF Hosted at the Radboud Repository of Radboud University. Not the answer you're looking for? Browse other questions tagged parshanut-torah-comment tanach tehilim-psalms . In Psalm 45:7, is the title ''God'' attributed to the referent described in the verses that precede it? Why does Yitzchak's blessing of Yaakov refer to Yaakov's mother's *sons*?